Once the archery season comes to a close, many bowhunters put their gear away for the winter months, but if you want to maintain or improve your skills it is important to stay fresh by practicing. This off-season, follow these five archery activities to keep your skills at peak levels so you are ready for your next hunt. If you like testing your archery skills against others, an archery league is one way to boost your skills and stay fresh. Not only do leagues encourage you to practice often, they also allow you to pick up tips from other archers, which may help you improve your abilities. The competitive nature of leagues is also good incentive for you to keep improving. Not to mention, leagues are an effective way to network with other bow hunters and learn more about the sport. Many archery ranges offer leagues with varying levels of competition. Search the internet for leagues in your area and find one you are comfortable with. One of the best ways to practice during the off-season is to regularly visit a 3-D archery course. While these courses are exceptional for keeping your shooting skills sharp, they also give you a real-world feel that accurately depicts conditions you would experience in the field. A 3-D course will not only improve your accuracy, it will also help you improve other hunting skills, such as judging distance, making quick decisions, taking difficult shots and deciding when to pass on a shot. Depending on where you live, there are likely predator or problem species that are open to hunting all year round. These may include raccoons, coyotes, wild pigs, jackrabbits or a variety of other mammals, depending on local laws. Getting out in the field and bow hunting these species can provide excellent practice to keep your skills at peak levels. No other form of practice can be as beneficial as getting out in the field and facing real-life situations. You might even find that predator hunting is something you really enjoy, which can provide a new aspect to your hunting activities. If you have the space to practice at home, nothing is easier than going to the backyard a few times a week to keep your skills sharp. While a regular archery target is helpful, you can take it a step further by building a variety of targets that can improve different aspects of your skills. Challenge yourself and create situations that help you work on your weakest areas. In addition to maintaining and improving your accuracy and success the next time you hunt, practicing also help to keep your body in top bow hunting condition. 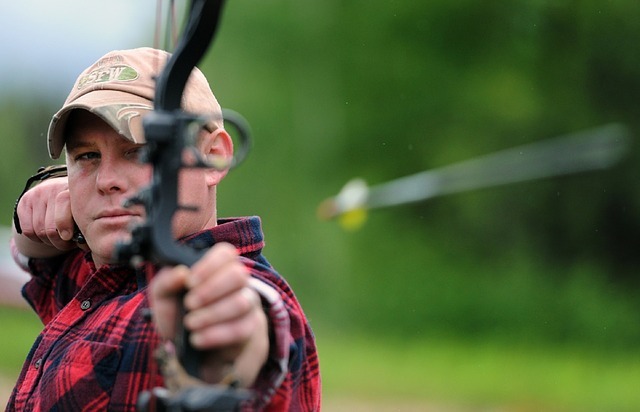 By practicing, you are exercising and strengthening the muscles you use for archery. You also help establish muscle memory with relation to your form, which improves multiple aspects of your archery abilities.